Lucky Reptile Reflector Set Small HRS-1 | Livefood UK Ltd. They are made as addon to the Thermo Socket lampholder sets. 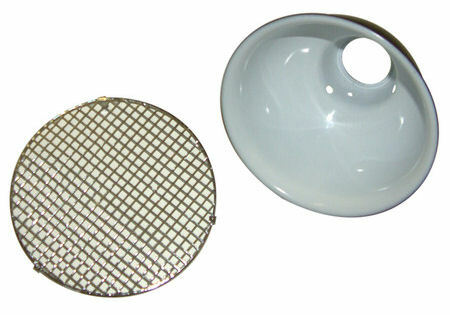 The reflector can be placed between the two lampholder pieces. Available in two sizes both 14cm dia. Small for spot lamps and Large for compact and mercury vapour lamps as this has an extra long reflector, both 14cm dia. DOES NOT INCLUDE LAMP HOLDER!